This chandelier takes classic design and offers its own unique, modern twist. Characterized by its long, sweeping arms, it offers a clean look while remaining fresh and exciting. The Tannery Bronze finish over its hand-wrought steel frame includes 6 candelabra based sockets. Use up to 60 watt bulbs per socket. 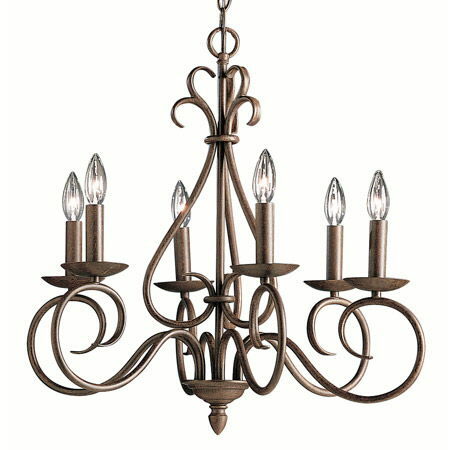 * : Please call us for any questions on our light chandelier bronze rentals in Butler PA & Western Pennsylvania.